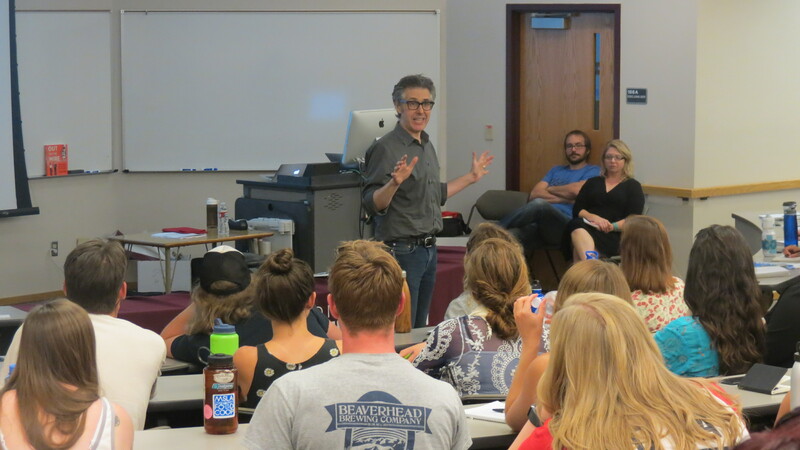 Radio demigod Ira Glass came to Missoula last week to entertain the public radio faithful, and to speak to J School students. Of the many lessons he imparted, one stuck with me: don’t wait, he said, before starting to create the journalism you have in your head. This is good advice for many reasons. Ira confessed it took him decades to get good at radio. He stressed that the only way to get good at journalism is to do it. If you could buy journalism training at the drug store, the directions would read: write, edit, repeat. Learning about the history of journalism is a noble pursuit, so is trying to analyze trends in coverage. But the only way to become a great writer is to write. Great photogs need to shoot, radio folks need to gather sound, and of course we all need to post and tweet. Part of Ira’s point is that there’s no need to wait until some employer gives you permission to do a story. Reporters—and students—today can develop their own news products, and can publish without a big backer. The podcast explosion has opened up new possibilities for many creative minds, and has turned out to be a great source of revenue for Ira’s show, This American Life. The barriers to entry are dropping. Your audience will be small at first, but you will be learning, and you may come up with something that will impress a prospective employer. So why are you wasting time with this blog? Go start your own. 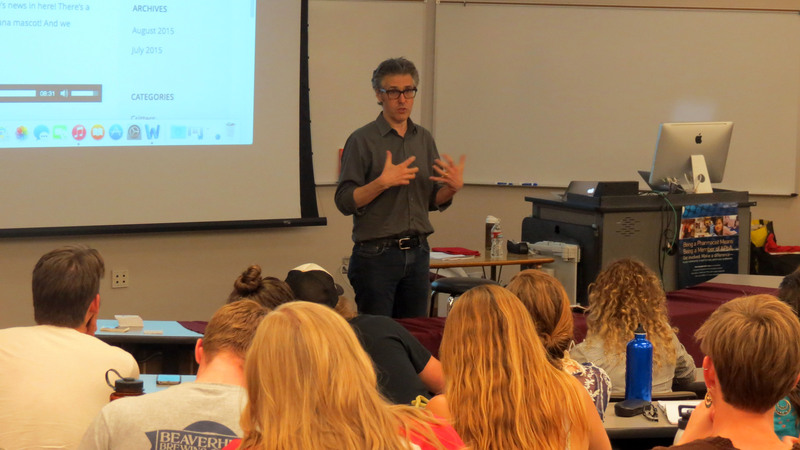 This American Life’s Ira Glass shared words of reporting wisdom with UM students last Saturday. Glass began his career in public radio in 1978. He began as an intern for NPR and has a wealth of broadcasting experience. Glass has held every production job from tape-cutter to newscast editor before finally settling in as the host and executive producer of This American Life. Saturday, Sept. 12, Glass taught a master class for University of Montana School of Journalism students. He began his lecture by saying he was there to “serve” the students and answer any questions they had about the business. Glass shared clips from his early career when he was at NPR, and admitted some of his own insecurities about being on the air. “I didn’t like the way I sounded,” Glass said. He explained how he would cut his narration out of his first broadcasts, letting the interviewee tell the story. Glass used his old clips to illustrate the importance of narration in a radio broadcast. He explained that the script could potentially make or break a show. He also emphasized the importance of good quotes, adding these add intrigue and keep a listener engaged. He ended the class by encouraging students to read “Out on the Wire” and offered to buy the book for anyone who was interested. The book is an illustrated guide to making radio shows. Glass collaborated on it, as did many of today’s top radio producers.